What's trending this wedding season? So one benefit of working alongside the wedding industry is learning what’s hot and what’s not! And this season, natural beauty is in! We are noticing a lot of brides getting their inspirations from the beauty of nature around them. The color of choice is anything pastel! Our color of choice - sea green! You can make it classic and elegant adding pearls and cream. Or make it a beach wedding and add seashells and seahorses. 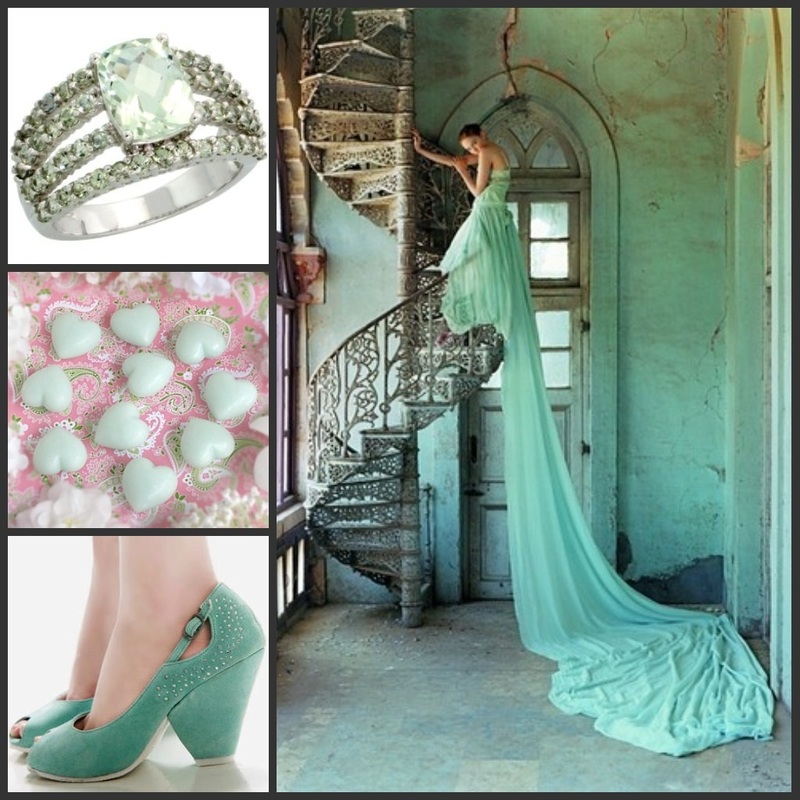 The color is as versatile as your wedding choices! Sticking with nature, why not protect it while you’re at it! 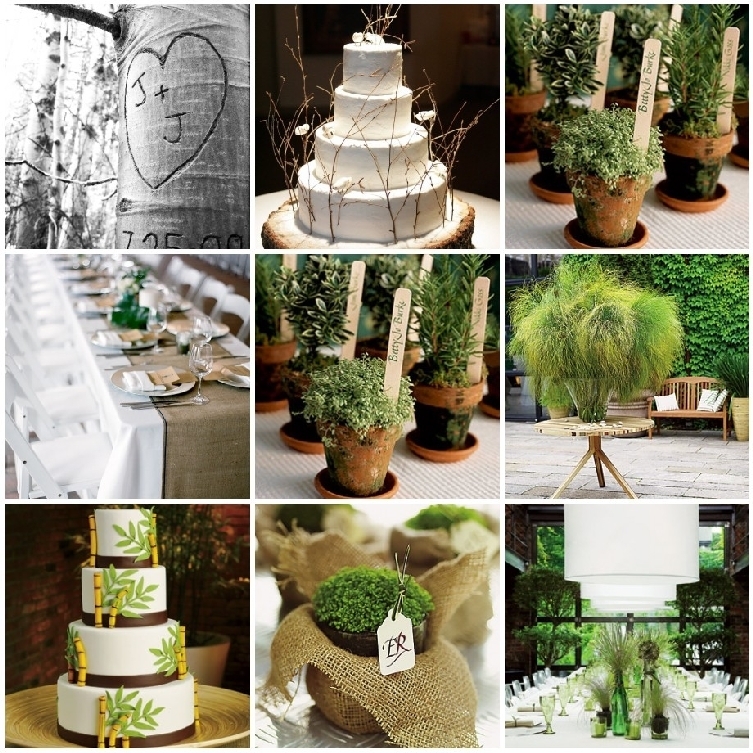 You wouldn’t believe how easy it is to incorporate eco-friendly ideas into your wedding! Starting with outdoor receptions! Celebrate the happiest day of your life with the sweet smells of nature, taking in every smell as a memory. Centerpieces made of fruit and flowers give your wedding a casual but elegant feel and easily incorporate your wedding colors. Last but not least, wedding favors are taking an eco-friendly turn! Mason jars filled with seeds of herbs and decorated in the wedding colors is becoming a big hit. If your guests are into the organic lifestyle, then this is for you! And if not, who doesn’t love a mason jar! 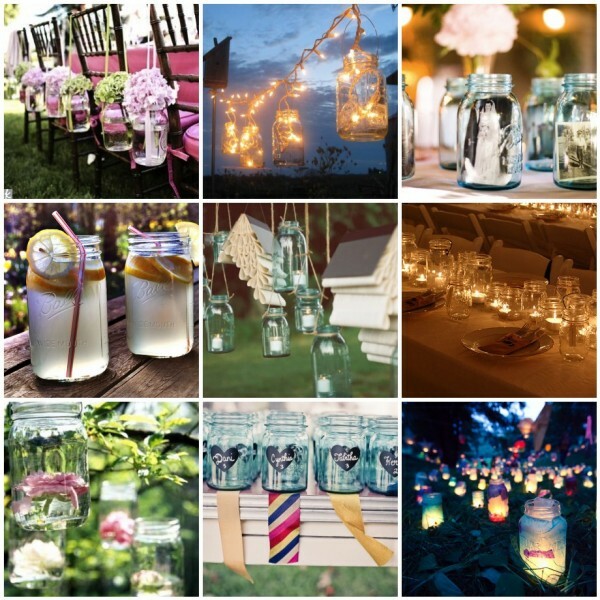 Is it me or are mason jars the most versatile accessory? Not only can you drink out of them, you can decorate them any way imaginable! We are seeing everything from His & Her jars, centerpieces, hanging lanterns, wedding favors, to lighting the way down the aisle. Then on top of that, you can fill them with anything from flowers to candy; the possibilities are endless! Best part about it, mason jars are inexpensive! Everyone loves to save a buck or two these days! As you could see, this season is all about capturing the beauty of what’s around us and just living in the moment as two lives become one. We can all remember our first cell phone. The gratification of being able to talk to someone anytime, anywhere! Nowadays, if someone doesn’t answer our call, we find ourselves texting and emailing them until they respond back. We want answers and we want them now! Inspherio allows you to communicate with your client directly through the program. If your client has a question, they can log into their client portal and send you a question. You’ll then receive an email notification with their message, can log into Inspherio, and respond. Why is this useful? How many times has a client had a question and they call, text, and email you! Or you need to remember something they asked but don’t remember if it was through a text or an email? Inspherio keeps all communication between you and your client in one location. Allowing you to access any necessary information quickly and keeping you organized along the way. When You Think Innovation, Think Inspherio! There are many products on the market that assist you in the managing of your business. You may have one that handles your leads, another for your expenses, and then your handy dandy calendar; but did you know that Inspherio can handle all of this for you? What about all of the exclusive features that can only be found in Inspherio? The KYE Form --> A customizable form that allows you to quickly gather pertinent information for your client’s event. Receive real-time feedback of your client’s responses and notifications if anything is updated at a later time. Communication --> You and your clients are able to chat directly through Inspherio, allowing you to easily keep track of conversations with clients. Receive email notifications every time you have a new message! Maintaining Your Identity --> One of our biggest goals with Inspherio was for our users to feel that they could use our program and their business was still the main focus. That is why we made sure that you are able to brand any email, form, or website used within Inspherio. Change the font, color, and background to match your own; even upload your companies logo to accompany any outgoing documents. We know that our users have worked hard to build their name and it should stay that way! Full Accounting System --> Keep track of all income and expenses through Inspherio and see how easy it is to do your taxes! Print a few reports and you are good to go! Income is automatically recorded as your clients make payments, all you have to do input any expenses. User Friendly --> How many times have you started using a program and had no idea where to start? Inspherio ensures that you understand every step of the way and offers descriptive Help Text to answer any lingering questions you may have. We have also provided a road map of Inspherio to guide you along in setting up your business. Super Support System --> The Inspherio Support Team are available for your convenience around the clock via email! You may contact us either via telephone or live chat Monday through Friday, 9AM to 6PM EST. Take advantage of our Support Team’s expertise and schedule a 1on1 training, as they walk you through the program and answer any questions you may have. Our Inspherio Youtube Channel offers over 30 tutorial videos to explain and demonstrate the many features Inspherio offers. See for yourself why Inspherio is the top choice for professionals in the event planning industry to manage their business. Start your full-version free trial today and start Planning Your Success! Keep Your Identity Within Inspherio! We know that the users of Inspherio are accomplished entrepreneurs who have worked hard to establish their name and business. This is why our team has made it our goal to ensure our users maintain their identity while using Inspherio. Inspherio provides each user with their own domain within the program. You have the option of publishing your site directly through Inspherio or embedding the code into your site as just another page. By embedding the providing code into your website, no one would ever know that Inspherio was powering your Contact page! You are able to customize the font, color, layout, even add your banner to the top of the page or as the background image. Your potential clients fill out the contact form and the information is directly imported into Inspherio !